Good post, Joe, and valuable insights as always. The show was absorbing, especially as I am NY Irish like two of the guests. I wish Gates had made it clear how very, very lucky Bill Maher was to have all that Emigrant Bank info. 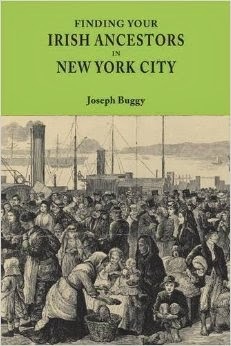 Very few immigrants had accounts there, considering how many Irish NY'ers there were. It's really the pot of gold. And Gates should have emphasized that spelling of places and names was extremely variable at the time--dozens of versions--so Maher's parish was not lazily misspelled by a clerk. Thanks again for the post.